My neighbour goes on holiday for a week and asked me tonight if he should feed his 'anguilla' (weather loach) extra to survive the week alone. I didn't think this to be a good idea and then remembered that the little girl/guy was in a 15 litre unfiltered tank. So, I thought if the neighbour is going on holiday, then why not the pet?! So, I offered him to keep him in my 180 litre tank for the time being. In the beginning it was sitting on the bottom without moving but by now it has seen the whole tank and has been swimming up and down. 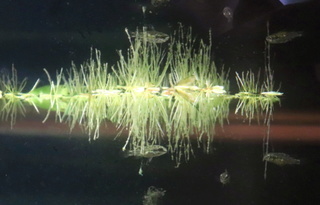 Here is a picture of it while still in its transport recipient. It measures about 15 cms. Oh my goodness! Sweet little baby - what a holiday for him/her....wish the little darling could stay with you in the filtered tank for good! It's adorable. 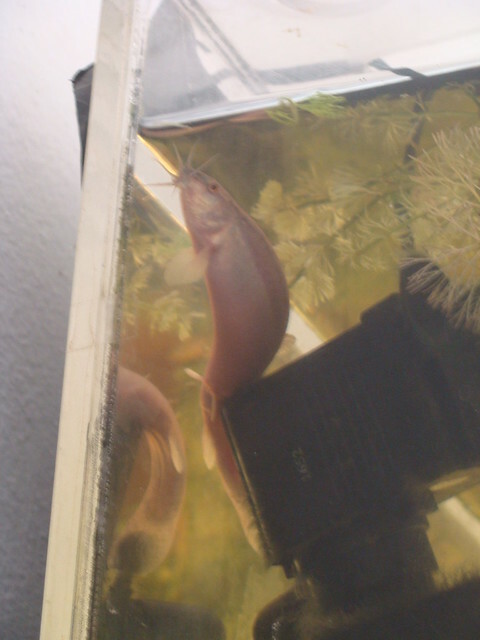 Haha I love weather loaches. I don't think so. I am still in Mexico and this fish won't survive several months of absence I am afraid. Plus, the neighbour has 2 sons; they will not want to give up their only pet! In another development: it already made the new tank its home. It has found a nice place to rest in the plants, looking into the living room. I will try to take a picture of it later. awww, so kind of you! This loach looks very nice! I've never cared for loaches very much but that guy is just plain CUTE!!! What a face. 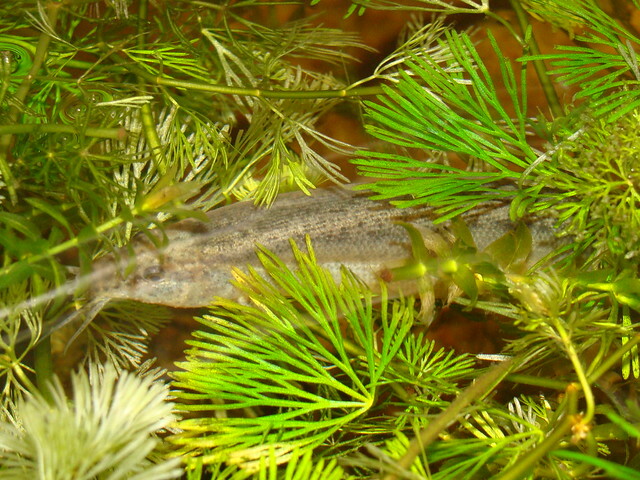 @nyleveiam wrote: I've never cared for loaches very much but that guy is just plain CUTE!!! What a face. Here are some pictures of the girl (I think she is a girl as she is pretty fat, unless she is overweight!). @Biulu wrote: Here are some pictures of the girl (I think she is a girl as she is pretty fat, unless she is overweight!). 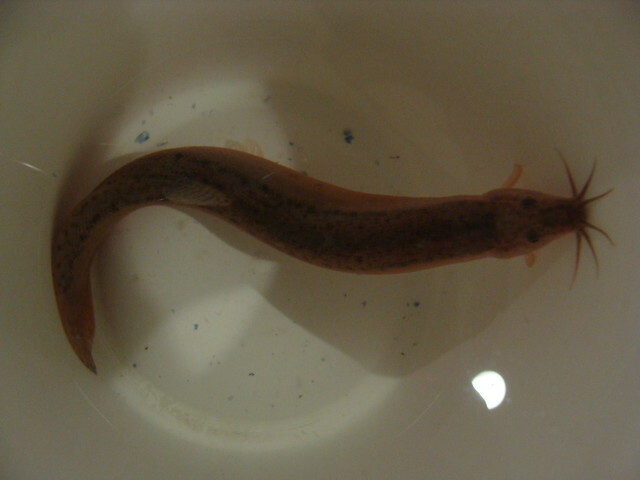 What a gorgeous finned-baby you have there - fantastic house guest! She is not the only one having a hard time going back after a holiday! Oh Shell, that video was really touching!!!! That was so cute with him snuggling in your hand!!! BUT, those long bodies do give me the creeps in a sort of bloodsucker way!! He's not coming out of that tank anytime soon. Sounds like a bet that I'll take. I say that loach will go back to the kids; it's their dear pet after all. I agree with Alex here. I have already offered them some of my cabomba so the loach can chill out in there instead of on the bottom of the small tank they have for it. And I will persuade them to do weekly water changes instead of cleaning the whole tank at once which is still custom here. The only one that isn't too happy about the temporary house mate is my female mollie. 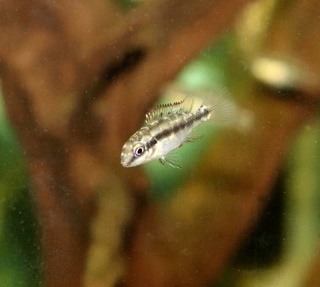 The loach has taken up her favourite resting spot in the cabomba! temporary housemates can be tough!!!!! haven't done any fostering for awhile with 2 kids, 6 dogs and several fish my life has changed! 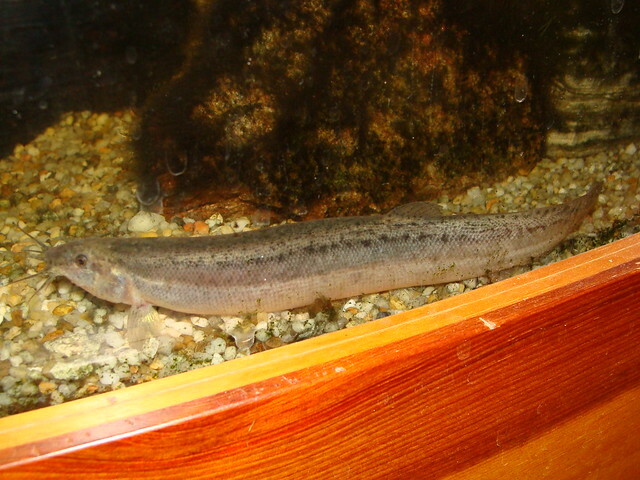 I have never had a weather loach before but my impression is that they are much more active in the evenings. I had expected this girl to swim laps in a big tank like this but instead she is hiding in the cabomba plants during the day. In the evening she does do considerable swimming though sometimes startling the mollie pair. Are these fish considered nocturnal? About an hour ago I was able to watch the behaviour that gave these loaches their name. She suddenly started to swim wildly up and down and without kidding, within 10 minutes we had a thunder storm breaking loose with heavy rain. Funny thing is that when the storm started raging, she was calmly chilling out on an extra power filter that I have in the tank! 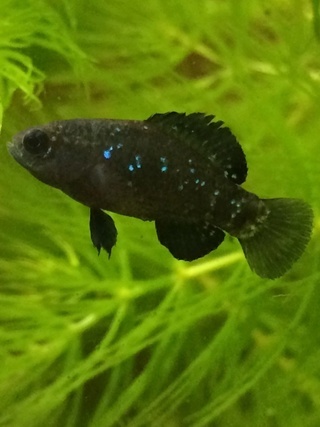 Not even an extra serving of freeze dried bloodworms made her butch from there! Here is the last picture of our temporary house mate. Tomorrow she goes back to her family. I can't imagine it would be very comfortable but apparently she thought otherwise! That was really nice of you to do but just be careful doing this type of thing. You don't want to potentially introduce sickness into your tank with an outsider. You never know what another fish may have. 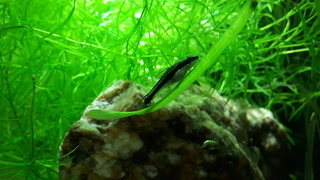 @Biulu wrote: I have never had a weather loach before but my impression is that they are much more active in the evenings. I had expected this girl to swim laps in a big tank like this but instead she is hiding in the cabomba plants during the day. I wonder if it has to do with being solo verses being in a group, as our weather loaches are active throughout the day - periodically switching from resting and zipping around!